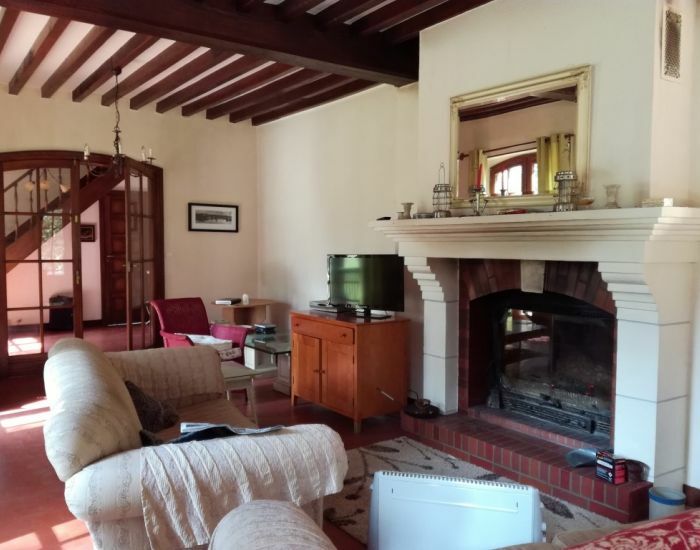 Country Property : Mansion close to the charming town of Sablé (TGV station for Paris (1H15) or Le Mans or Angers (25'). 11 main rooms bright and not overlooked (but not isolated) comprises 9 rooms and large reception rooms decorated with rails, woodwork, fireplaces, herringbone floors and moldings. Orangerie under the main terrace with access to the park (with a small secure pond) All the charm and simplicity of the 1920s.